You will get rich buying real estate using OPM — or Other People’s Money — because you do not have to save as much money yourself and can get your money to grow faster. You have to be respectful of where money comes from. Money generally comes from someone who has earned it, gained valuable experience earning it, and from someone who can guide your decisions on how to structure deals with sellers. You might feel like you are swindling money from someone to buy an investment because the pitch generally is that the investor can get a better return with you than they can get elsewhere. You are not swindling. It is a real business. You are generally a bird dogger and need your own deal finding systems for the relationship to work. Profitable deal finding systems are hard to create and that is why you earn your money. Romana King says to find deals that cash flow so that you can hold them in both an up and down market. The difference between real estate and financial securities or paper assets is that you need a license to raise money to buy paper assets. With real estate in most jurisdictions you can organize a joint venture between you and the investor and is typically legal without a license. It is a paper contract. Consult your lawyer. You can get started in real estate with no money using OPM. When you use other people’s money you can create a larger pie in a shorter amount of time. The real difference between using OPM and not that when you use OPM you remove your downpayment and exchange it with partners’ money. This allows you to buy more properties and focus on finding deals that cash flow for your partner. Since you get control or own more property sooner because of using OPM you benefit from compounding. Since the amount of assets that you own or control is larger with OPM, your return is bigger than if you did not use OPM. This return compounds. Buying property sooner with other people’s money allows compounding to take effect more rapidly. You can ask friends and family if they would like to invest with you in a piece of property that you find. They put up the money and get a return. You get a share of the property — usually 50%. You can also use the internet to setup lead generation systems for you to close. You can focus on local SEO (search engine optimization) and setup landing pages to capture a list of cash buyers and motivated seller leads. 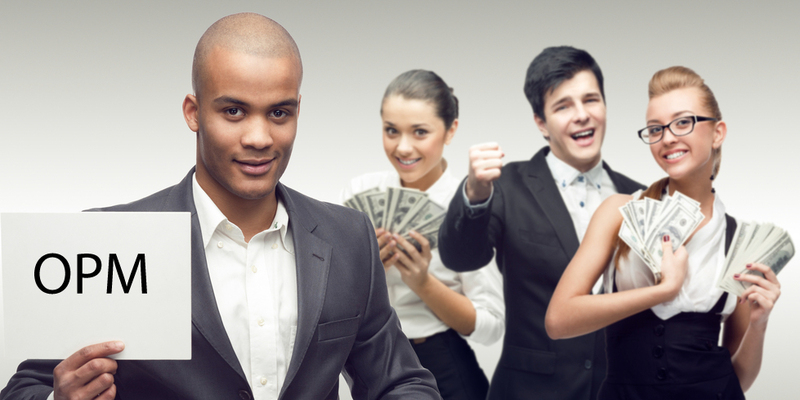 Have you had success using other people’s money in real estate investing? Follow on Facebook, Twitter, YouTUBE, LinkedIn Group, LinkedIn Personal.